Our past research developing a molecular understanding of stromal and epithelial interaction in prostate growth and development. 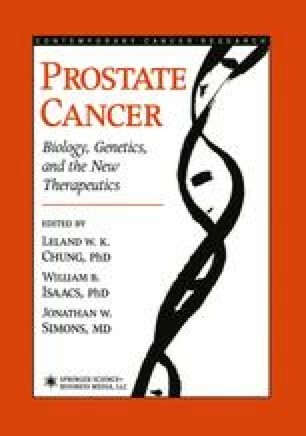 The establishment of human prostate cancer progression models addressing the reciprocal roles of stromal and epithelial interaction and the expression by tumor epithelium of androgen independent and metastatic characteristics in host animals. The use of human prostate cancer models to screen for therapeutic agents that can block local tumor growth and its distant metastases. The designing of Phase I clinical trials, based on preclinical animal studies, to translate the findings from bench to the bedside for therapeutic targeting of men who have hormone-refractory primary prostate cancer and metastases to lymph nodes and skeleton.